It's so bizarre when you think about the original iPhone and its debut when they've come such a long way. When you look back on how the first-generation iPods had click wheels, it muddles things even further. Think about the potential of an iPhone with a click wheel and things get even weirder. That's exactly what's surfaced online, shared by Sonny Dickson -- an early prototype of the original iPhone with images and video that show off a version of the iPhone that we could have had before Apple settled on the one we know so well now. It includes a mishmash of features that did end up on the iPhone as we know it, like 2G connectivity, Wi-Fi, aluminum body and more, but there were a whole host of changes made that just didn't see the light of day. 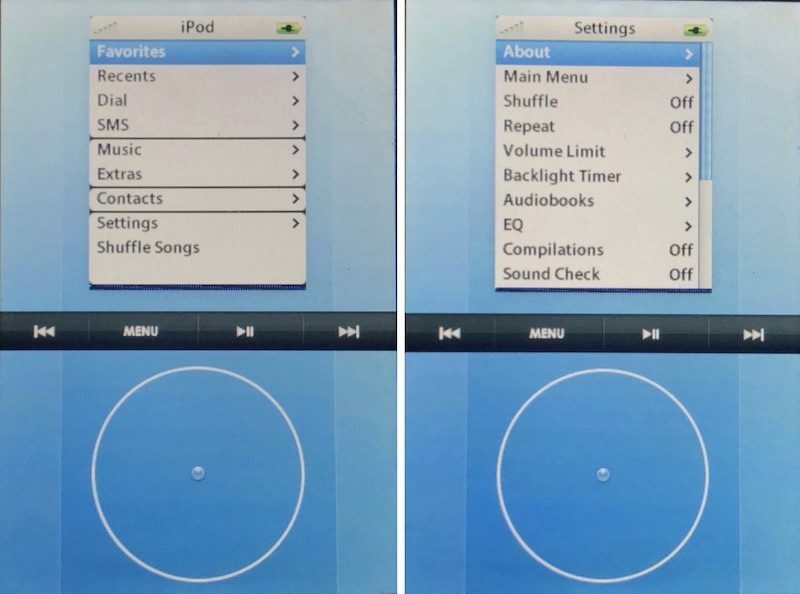 The original prototype went by Acorn OS, and included an on-screen click wheel on the bottom half of the screen with a menu on the top half, with options like SMS, Music, Settings, and Recents. You'd just use the onscreen click wheel to navigate and the center press confirming actions. Dickson explained "Instead of the modern touch-driven interface we now call iOS, it featured an operating system dubbed “Acorn OS” (this was an internal code name, and it unclear if it would have kept that name if it had been released), which is derived from the acorn shown on boot. Not much else is known about the device, apart from the fact that it differs heavily from the iPhone we know today, and that very few units running “Acorn OS” exist, with most of them likely being destroyed by Apple, a company in which there is a specific job role in relation to the destruction of prototypes." You can check out the video of the iPhone prototype in action, which seems somewhat foreign in comparison to the navigation system we have in place now. You can see additional images and other information via Sonny Dickson's personal website.